Another fine day for Russia’s space program. A Proton crashes with three GLONASS satellites. The spectacular crash of Russia’s Proton rocket on Tuesday — with the loss of three navigation satellites — was simply the latest in a series of launch failures that have bedeviled the Russian and Ukrainian space industries over the last 30 months. The table below shows a tale of woe that began in December 2010 and has resulted in the loss of 15 spacecraft and cost the heads of the Russian space agency Roscosmos and launch vehicle builder Khrunichev their jobs. Twelve launches have gone awry since December 2010, with 10 failures and two partial successes. Fifteen spacecraft were lost, ranging from communications and navigational satellites to Russia’s first Mars probe in 17 years. Four satellites were successfully deployed into orbit. And a cloud of orbital debris resulted from the explosion of a malfunctioning upper stage. Ten of the 12 failures involved Russian rockets. The list includes five failures involving Protons, two each involving Soyuz and Rockot launch vehicles, and the loss of an ICBM during a test flight. Two other failures involved Ukrainian-built Zenit launch vehicles. One of the Zenit failures involved Sea Launch, a company which is majority owned by Energia of Russia. 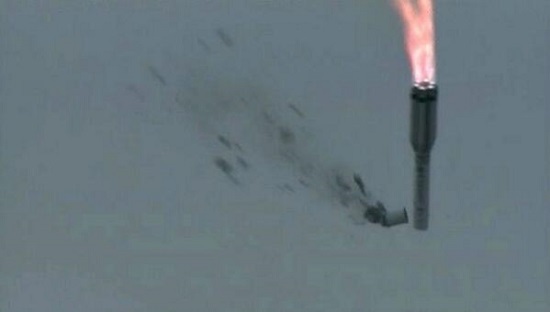 That flight fell into the sea after the Ukrainian first stage failed. The other mission failed due to a malfunctioning Russian upper stage. Problems with upper stages figured into nine of the 12 failures, including malfunctions in three Breeze-M and two Breeze-KM stages. First stage anomalies were responsible for the other three launch failures. As the problems have mounted, the Russian leadership has made some personnel changes at the top. Roscosmos head Anatoly Perminov was replaced by Vladimir Popovkin in April 2012. Last September, Khrunichev Director-General Vladimir Nesterov was also relieved of his post. Khrunichev is responsible the Proton and Rockot launch vehicles, including the Breeze-M and Breeze-KM upper stages that have figured in five of the failures. Officials also have installed Deputy Prime Minister Dmitry Rogozin as the nation’s defense and space czar, charging him with improving quality control throughout these vital sectors and rooting out corruption. Doug, could you please clean up the wording for Jan 2 2013? It’s somewhat confusing. OK that’s a bit clearer. Did the inability of the controllers to deorbit the upper stage have any impact on the satellites that were placed into orbit? And how did they manage to lose 1 but not the other 2? I’m not entirely sure. It’s a bit of a mystery. Officially, everything went well with the launch. That was the announcement at the time. Then later reports indicated there were problems. The response, if I recall, is that satellites ended up going into the orbits they were supposed to go into. At least within the expected range of orbital parameters. It seems pretty clear that there was once again some anomaly with the upper stage. I also fixed the date. It was Jan. 15, not Jan. 2.